In "Torment", fallen angel Daniel and his mortal love Lucinda think they are safe but evil forces are massing against them. As Luce learns more about her past, and discovers that the lives she's already lived hold the key to her future happiness; she starts to wonder if Daniel has told her the whole truth. What if his version of events isn't the way things happened? What if that means that she's really meant to be with someone else? After reading Fallen, I just knew I had to read the book that followed. Torment was everything I expected it to be. It was as good as the first- packed with twice as much the suspense, action and love. Luce faces many challenges. She has to make difficult decisions that have been already made by Daniel. But does she follow them? Nope. I liked her venerability and how she didn't know what to do most of the time. The most shocking event was the ending. It always the last few moments of the book that surprises me. I can't believe what happened to Luce. It's impossible to figure how the story is going to carry on. I absoluetly love Lauren Kate's books! I love her writing and the way she expresses it. 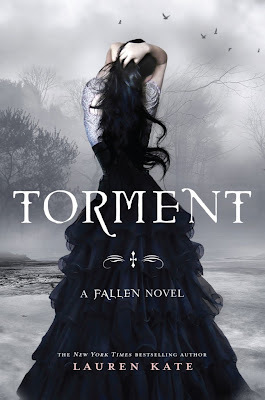 Fallen was a big hit for me and now I feel the same way with Torment. What can I say. AMAZING! PASSION is to be released June 14th 2011! Ive read FALLEN and can't wait to read TORMENT. It sounds good. Thanks for the synopsis. anyways on with the comment, i really really lovelovelovelovelovelove daniel he is like my fictional lover :) the thought of loving someone for like ever and never wanting someone else :) thats real love, great review ! I loved this one, Daniel is one of my favorite characters! I think this could be a good book, will have to try it! Final 'Hush Hush' Trilogy Release Date Out!